"....They are contrary to, and irreconcilable with, Orthodox Christian ascesis, especially with Prayer..."
Our times are times of extreme spiritual confusion and apostasy from the Will of God. The father of this condition is the devil, who uses the people that he seduces into fallacy in order to succeed in his homicidal plan. This confusion is cultivated mostly by groups belonging to the so-called "New Age of Aquarius". Their basic dogma is that "all religions are the same; all of them are paths that lead to the same objective" - so they say. However our Lord Jesus Christ Himself refutes them, when He says in the Gospel: "I am the Way and the Truth and the Life" (John 14:6). Consequently, the paths to salvation are not many, but only one alone: Christ and His Church. 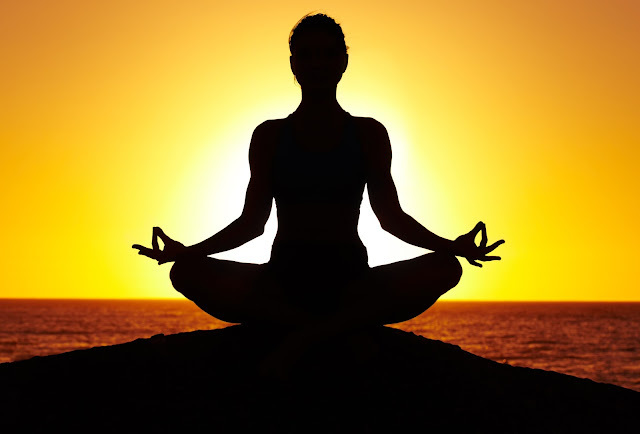 These heralds of confusion identify Christian prayer with yoga and meditation, which are techniques of oriental religions and occultism. With what will follow, I believe that this confusion will be cleared. Ascesis has been legislated by our very Lord Himself, in the sacred Gospel. Ascesis is the means for reaching the purpose of Christian living, which is to rid oneself of passions and become united with God (theosis by Grace). Among the kinds of ascesis are fasting, night-vigils, prayer, sincere repentance and confession, humility; the severing of one's own will by being obedient to the will of God; by not trusting our own nonexistent powers but only God's power; by attributing to God all good things and whichever progress we make on the path of virtue while putting the blame on ourselves for our sins. Along with these, we should add the study of God's word and the conscientious participation in the Sacraments of our Church - especially in the Sacrament of repentance and confession and the Sacrament of the Divine Eucharist. Ascesis is not only for monks and clergy, but for every Christian, as clearly observed in the sacred Gospel and the lives of the saints of our Church. This path of ascesis was the path followed by the millions of saints of our Faith. Essentially, ascesis is Man providing the "I want to" from his part; the "I can" is provided by the Almighty God from His part. In this way, the ailing person is cured of sin. This kind of healing is achieved only inside the spiritual hospital called "Church". For the cure to be achieved, ascesis is imperative. Within the Orthodox tradition of therapy, ascesis is not seen as a technique. It is not a sum of practices either. On the contrary, it is our sincere response to God's love. In other words, to do what is humanly possible to cleanse the inner self, so that the Grace of God might come to reside within us. After all, it is God Who makes the first move to meet Man, and not Man who seeks to find God. And so, we now come to a crucial point. There are certain similarities between Orthodox ascesis and the ascesis practised in the non-Orthodox sphere, which can impress someone who stops at the apparent similarity of trees with regard to their foliage, but cannot see the differences in their trunks, their roots, and especially their fruits. Prayer is the soul conversing with God. One that is very familiar to the monastic tradition is the Jesus Prayer ("Lord Jesus Christ, have mercy on me"); it has been cultivated and is still being cultivated by all God-loving souls, and not just by monks. So, what is the so-called "psychosomatic method" generally comprised of? 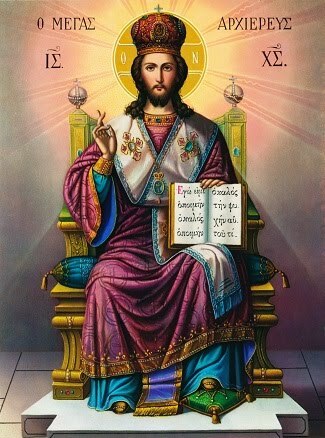 Basically, the following: The individual is seated on a low stool with his head bent forward so that he can focus on a spot on the chest, slightly below the heart, and then tries to coordinate his breathing with the Jesus Prayer, on whose words and meaning he tries to focus his mind and warm his heart with them. However this is not suggested as a recipe - whether by all the teachers of the mental prayer, or by all those who would like to study it. On the other hand, meditation is defined by the Hindu guru Sathya Sai Baba as "the method from within which the mind learns to concentrate" (Sri Sathya Sai Baba, "Meditation", Sri Sathya Sai Publications, Athens, 1984, p.8, as quoted by the late fr. Anthony Alevizopoulos in his book "Meditation, or Prayer? ", p.56). In this relating of the mental prayer to meditation, a dishonest attempt is observed. It is the attempt to make it appear as though we have two paths - albeit different - but deep down closely related, which lead to the same objective - that we supposedly have two different traditions which however essentially describe the exact same experience. Unfortunately, even professors of Orthodox Theological Schools - as for example prof. Savvas Agourides - maintain this view (see article titled "The experience of divine light by Orthodox Hesychasts and enlightenment in Zen Buddhism" - an introduction to the Conference on God and God's Equivalents, organized by the Council of the World's Religions in Assisi, Italy, on the 16th May 1990). The explanation is that Mr.Agourides is unfortunately a member of the "Unification Church" of the Korean pseudo-Messiah, Sun Myung Moon. We could say many more things about the Christian Orthodox prayer's perception of God, Mankind and the world, on which it is based. On the other hand, we could say equally many things regarding the perception of God, Mankind and the world that Yoga and meditation presupposes. These two perceptions are entirely contrary to each other and entirely irreconcilable. For us Christians, God is a Person; He created Man out of Love - Man also being a person. God also created the world out of Love and cares about it, just as He cares about Man, even more so. On the contrary, according to the religions of the Orient and the "New Age", God is an impersonal hyper-consciousness and identifies with the universe. In other words, we have here a "pantheism". Likewise, Man is also - according to them - like a drop that needs to be dissolved in the ocean of that impersonal God-universe. Freedom and responsibility do not exist, according to the anti-Christian perception of the "New Age". They assert that everything is determined on the basis of the blind law of karma and reincarnation (which of course is not a law, but a religious belief of oriental religions and of occultism). According to this fallacy, the soul after our physical death supposedly enters another body - regardless if it is a human's or an animal's. It can supposedly even enter a plant or a rock, given that everything is the same in its essence, according to their theory. With the above, we consider this important parenthesis closed. «The context of the Jesus Prayer is first of all one of faith. The Invocation of the Name presupposes that the one who says the Prayer believes in Jesus Christ as Son of God and Saviour. Behind the repetition of a form of words there must exist a living faith in the Lord Jesus — in who he is and in what he has done for me personally. Perhaps the faith in many of us is very uncertain and faltering; perhaps it coexists with doubt; perhaps we often find ourselves compelled to cry out in company with the father of the lunatic child, ‘Lord, I believe: help my unbelief’ (Mark 9:24). But at least there should be some desire to believe; at least there should be, amidst all the uncertainty, a spark of love for the Jesus whom as yet we know so imperfectly. 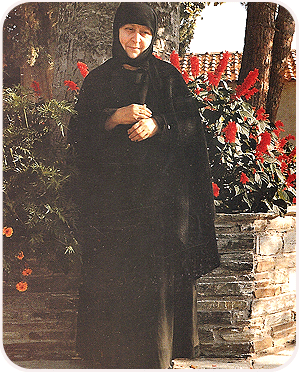 Our aim in praying is to communicate with the Person of our Lord Jesus Christ, and this communication certainly cannot be put into moulds in order for us to be joined with Him (without this union abolishing our personal otherness), whereas with meditation, the aim is to dissolve the individual Self, like a drop of water dissolves in the ocean of "universal hyper-consciousness", which is not a person. In meditation, one does not address any specific person that he is linked to with love; instead, one addresses the Self, in the belief that he himself is in essence God. This of course is a demonic deception and fallacy, which, in the desire to impose it, they have misinterpreted and twisted the very words of Christ: "The Kingdom of God is within us" (Luke 17:21), regardless that this quote does not imply that Man is God by nature - as the misled New Agers fallaciously believe and proclaim. What it implies is that when one is baptized, the uncreated Divine Grace (the Holy Spirit) resides inside him, and that whoever has Divine Grace inside him, has a foretaste of the Kingdom of God from now. This closes the brief parenthesis. Meditation therefore is not a move to abandon the self, or a move to be rid of one's egotism - in other words, a move of love; rather, it is a self-centered short-circuiting action. In meditation, one concentrates on a so-called meditational object. According to the followers of meditation, this could be the form of Buddha, a candle flame, or any other object (and we might add, why not the form of Lucifer, if that helps to "inspire" and "assist" one's meditation). When they who exercise meditation approach Christians in order to proselytize them, they tell them that during meditation, they can likewise concentrate their attention on Jesus Christ. And that is the way they cultivate confusion; they give a different meaning to the term "Christ". To them, Jesus Christ is not the perfect God and perfect Man as we believe Him to be. They refer to Him as just another one of the many other "great teachers", but above all they claim that He is a "state" within us! They say that we are all "Christs by nature". 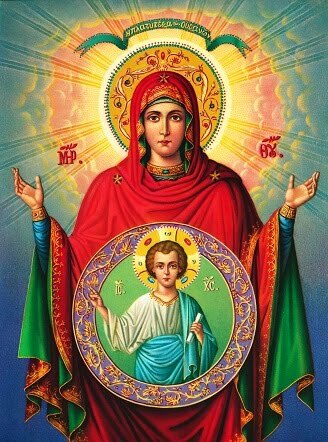 But we Orthodox do not believe in the demonic lie that we are supposedly Gods by nature; we believe that we struggle with the help of God to resemble Christ and that we consequently become God-like by God's Grace, the way the Saints are. The difference is huge. In the case of meditation, they promote the diabolical lie of self-salvation, as opposed to the case of praying, where a person becomes sanctified within a communion of Love and subordination to the one and only, Holy, Triune God. The supporters of meditation also make reference to the «surpassing of the meditational object». But this supposed «surpassing of the meditational object», is entirely foreign and irreconcilable to the Orthodox Prayer. To us, Jesus Christ is not a meditational object, nor is it our aim to surpass Him in order to reach a "state of pure consciousness" or a "deeper awareness of the Self" (also in the book by fr. Anthony Alevizopoulos "Meditation or Prayer?"). Another point we must stress is that with the techniques of meditation, one elevates the self to extreme heights of pride, whereas with the Prayer, one humbles the self, one does not snub others and in fact, by having succeeded in getting to know one's own self thoroughly well and having experienced the presence of Divine Grace, he will consider himself as the worst person there is - even worse than reasonless animals. "Even lower than all of creation", as we read in the book of Elders (the "Gerontikon"). When the person meditating believes that in essence he is God, he is not in a state that will allow him to utter the words "have mercy on me" - the key words of the mental prayer. In other words, the follower of the dogma of "I want and I can" of the New Age "positive thinking" is unable to humble the self. 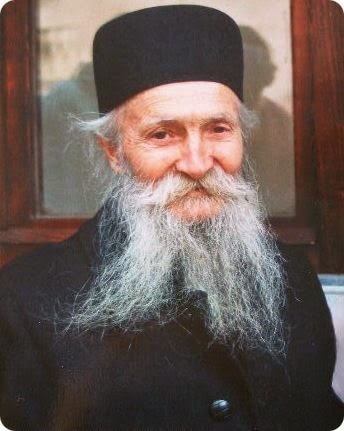 Besides, meditation in the long run only leads the meditator into a state of self-hypnosis; his perseverance in becoming joined to the object of his meditation (which is the chief aim of meditation) is nothing more than a case of fantasy; a fantasy which - according to the Orthodox ascetic therapeutic regimen - needs to be marginalized. This movement within the sphere of fantasy (or rather, within the sphere where real and fantastic are confused) can reach the point of generating situations that belong to the area of Psychiatry. An example is the case of a follower who attempted (with his "power of the mind" as he believed) to stop a train. The result naturally was the loss of his life. There is a plethora of similar outrageous examples. The demonic element naturally assists in all of these situations. For an in-depth examination of this "positive thinking" movement, I would recommend the book by the late fr. Anthony Alevizopoulos, "Self-awareness, self-realization, Salvation". Ascesis is not a technique. This became apparent with the comparison between the mental prayer and meditation. It is not a means by which we can extort God's freedom. 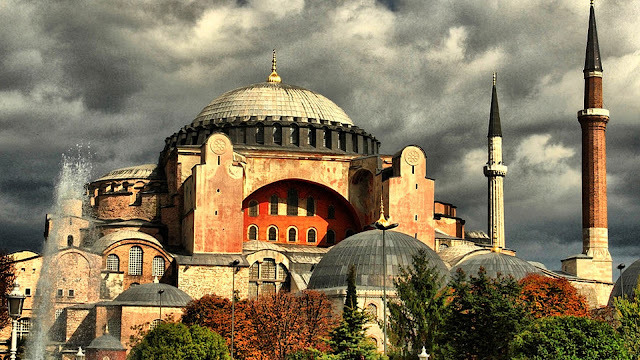 Ascesis in the Orthodox tradition is not an end in itself. It is a means. Our aspiration with ascesis is to mortify our passions, and not harm the body. Abba Poemen in the "Gerontikon" had said: "We were not taught to be body-wreckers, but passion-wreckers" ("Asteras" publications, page 101). Given that ascesis is not an end in itself - as stressed earlier - that is why the Orthodox do not seek to see lights or visions, or to have 'experiences' or to perform miracles. Wherever and whenever a case of "vision-worship" or "miracle-worship" appears, we need to know that these are definitely deviations from the Orthodox phronema (conscience) and ethos. An Orthodox will deny the "experiences" that the devil is ready to offer, "here and now" and without being asked (let alone when asked). There is a vast gaping chasm between a true prophet (that is, an Orthodox Saint) and an occultist sorcerer, fakir, conjurer, or a psychic/"medium". 1. A prophet, a Saint, is not self-appointed; he is appointed by God. 2. A true prophet is conscious of his insignificance, whereas a sorcerer, a conjurer, is full of demonic self-importance. 3. A true prophet does not open a "business for services rendered", nor is he invited by people; he goes to them. 5. The content of the true prophet's message is not new; it is old, and has been forgotten. The Grace of God may of course visit the purified and worthy ones, however and whenever it deems it beneficial either for them or for the edification of the Body of Christ, that is, the Church. However, these experiences cannot be extorted, nor are they an end in themselves. The Saints counsel us to seek repentance - which is likewise a gift of God - and which, according to Saint Isaac the Syrian, is loftier than all other virtues, «...for its opus can never be finished; it is befitting to everyone, to both sinners and the righteous, who wish to attain salvation» (Homily55 On Passions, publisher Hieromonk Joachim Spetsieris, p.220). So, it is repentance that we should be seeking, and not the ability to work miracles - which, if we lack humility, can seriously harm us or even destroy us. The manner in which the Saints avoid the temptation to desire "experiences" is by maintaining a humble conscience. 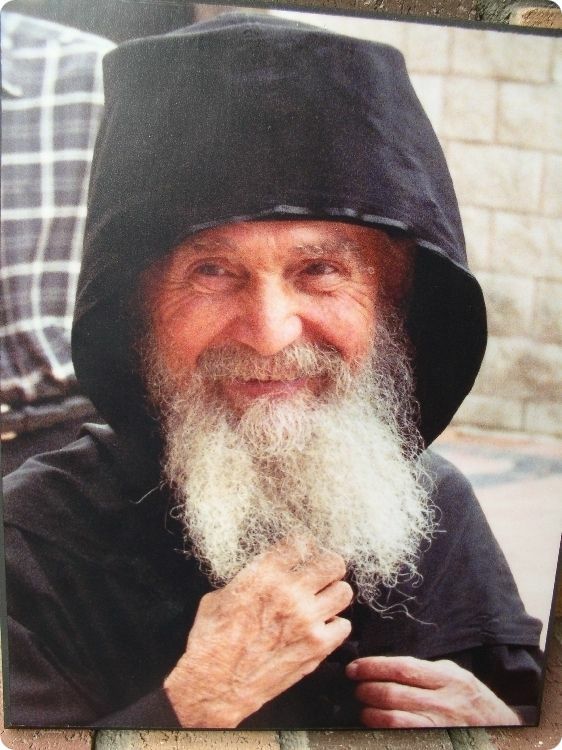 In the bios of the late Elder Paisios of the Holy Mountain - who was reposed in 1944 - the following incident is mentioned: One evening as he lay awake praying, he thought that the ceiling of his hut was about to open wide and that Christ was going to appear there and bless him. "My God, who am I to be so worthy as to behold You?" was the humble thought that immediately came to his mind, upon which, the vision that the devil was preparing to show him vanished like a flash. 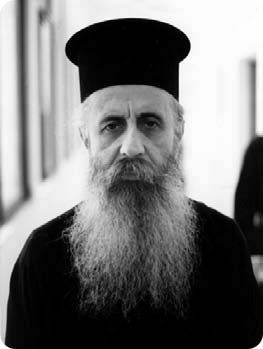 The criterion for the veridicality of Orthodox ascesis is that it should be done conscientiously (a detail that the Elder Paisios stressed especially) and with love, with humility and discernment, and without of course following after our personal will - in other words, that it be done with obedience and in fact a "joyous obedience", to remember the words of another great contemporary holy Elder that is now reposed: the Elder Porphyrios. One may perhaps easily perform five hundred prostrations while preserving his own will, his own opinion, his own judgment, and placing trust in himself. But, to perform only a hundred prostrations with obedience is far more difficult, because in that case, the evil one places impediments and wages war against him, whereas in the first case, the devil actually empowers and reinforces him. "I find a lot of resistance in you, Makarios, making me unable to harm you. And yet, whatever you do, I also do. Do you fast? I too eat nothing. Do you hold night-vigils? I too do not sleep at all. Yet you have one thing that I don't." "And what is that?" Abba Makarios asked him. («Gerontikon» in the modern Greek rendition by Vas.Pentzas, ASTERAS publications, p.152). Of everything that has been mentioned so far, I believe that Orthodox ascesis and especially Prayer, does not have any similarity or affinity in essence to yoga and meditation which are cultivated by oriental religions and the groups of the so-called "New Age of Aquarius". Those who say otherwise are either misleading people by cultivating that New-Age confusion through heresies, or themselves fall prey to that confusion. 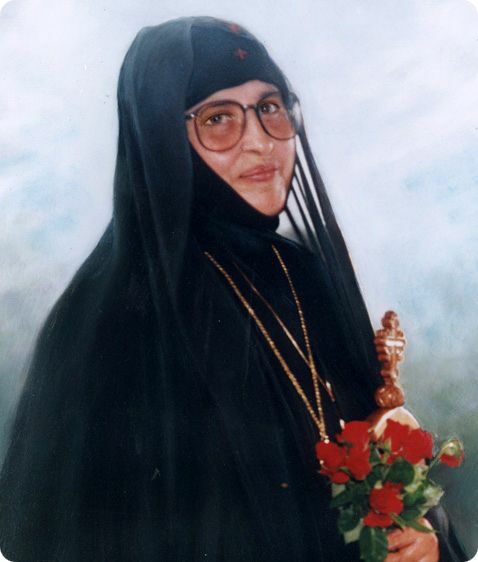 The only safe way for one to not be trapped by heresies is to belong consciously and organically in the Orthodox Church, which is the sole Ark of Salvation for mankind, as it has preserved unadulterated the Gospel and the tradition that the Holy Spirit bequeathed us through the Holy Apostles and their successors. Only then will he be sheltered by Divine Grace, enlightened by the Holy Spirit and guided safely towards Salvation.